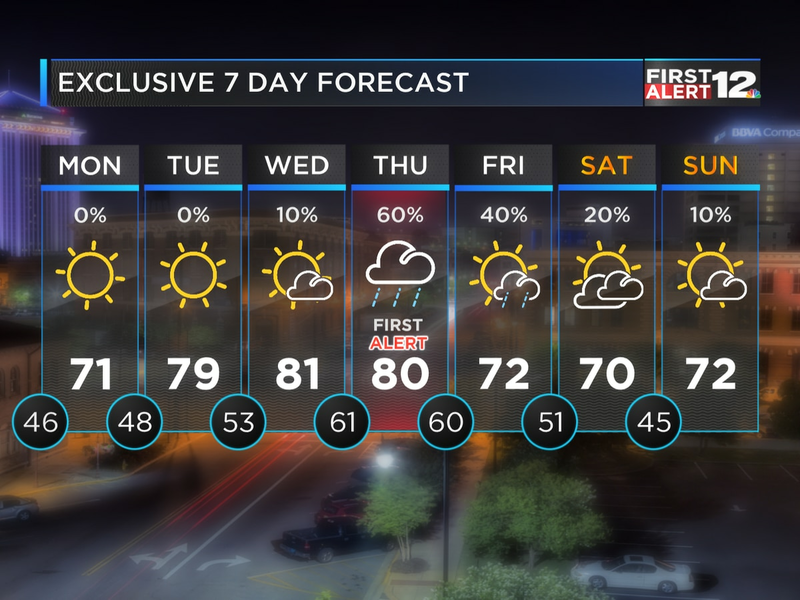 MONTGOMERY, AL (WSFA) - Whether you like cool temperatures or warm, dry weather or rain, there’s a little bit of something for everyone over the next 7 days. Temperatures are in the 40s currently, and a light breeze is making it feel a bit cooler at times. High temperatures Sunday will vary across the state; it will not be a “one number fits all” situation. Some (particularly in northeastern areas) may not leave the 40s all day, while others further west and south could reach 60 degrees. Isolated to scattered showers are possible tomorrow, with the highest chance for rain in eastern counties. Overall rain chances stay low, but it won't hurt to keep an umbrella nearby. Rain chances increase into the workweek, with showers and even a few thunderstorms possible Monday night and Tuesday. Some of the storms could be on the stronger side. Temperatures will also be much warmer in the the 70s. 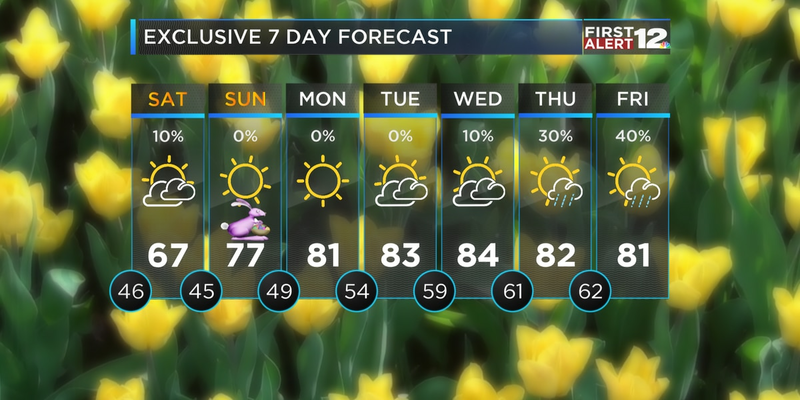 We briefly cool down and dry out a bit on Wednesday before our next system arrives Thursday. 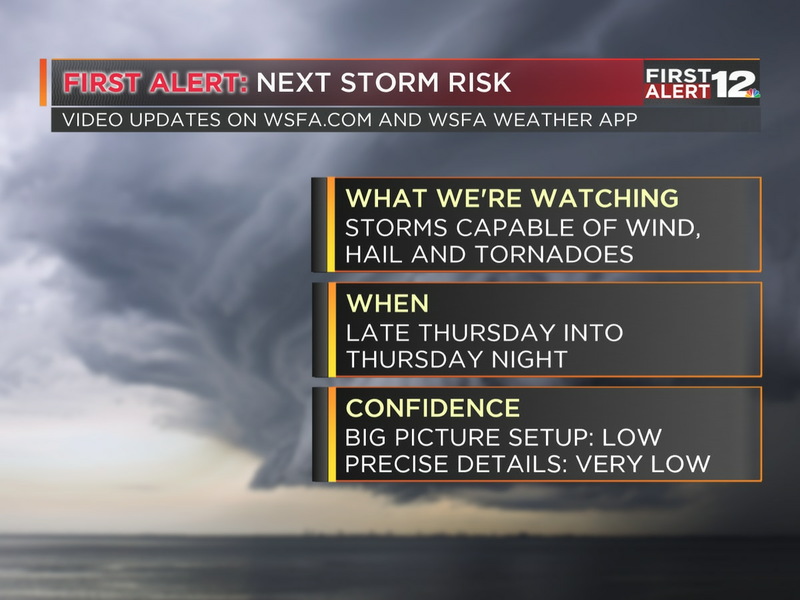 This will also bring a good soaking Thursday night into Friday morning, and a few strong storms are possible again with this system. We’ll watch it closely as the workweek approaches.